Kids with a Party House Have More Fun! Kids learn by example, so why not set-up a party room in your home that’s designed with lots of fun things that are sure to keep kids entertained and happy! It’s really not that hard. And as you set it up you can reminisce with your kids about all the fun you used to have, so they know how to have fun too! Simply think about what you liked to do as a kid. For me it was dancing and singing, CONSTANTLY, so to encourage my kids to do the same I created a play room that includes a microphone, stereo and karaoke machine. I even got a 70s disco ball that they turn on often! Now my one daughter thinks she’s a super star diva and when her girlfriends come over it’s definitely party time! My other daughter can’t even sing Happy Birthday, but she’s crazy about games, so for her I set-up a shelving unit stocked with all my old favorites like checkers, chess, monopoly, decks of cards and some of the latest kids games too! So her parties consist of game time and chatting about boys. In the center I’ve included a huge wooden kids table that has become the “everything table” like the Nest Play Table by Offi. This is where my kids can sit and socialize with their friends, have snacks, do arts and crafts or anything else fun they need a table for. 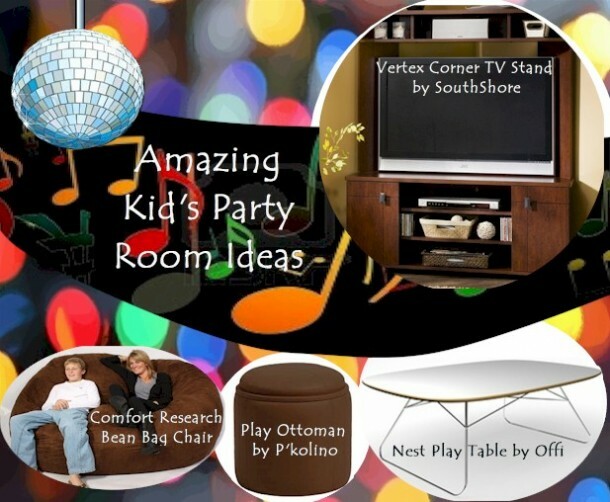 Instead of regular chairs, I put ottomans with built in storage that are comfy to sit on and can also hold kid party things like CDs, video games, dress-up clothes and more. The ottomans I got are exactly like the Play Ottomans by P’kolino. These comfy and functional ottomans are offered in tons of fun colors to easily match any play space. We of course also included a TV and kids couch, so they can chill during their more relaxed party moments. If you can’t fit a couch, I’d recommend getting some Comfort Research bean bag chairs that can be moved around anywhere to create a great chilling out space. If you have even more room you might want to throw in a full media center that can hold all of your media equipment like TV, stereo, game console and more and your kids will NEVER be bored again! Who doesn’t want a little magic in their life? I know I do! It’s easy to create a magical, fairy tale playroom for your daughter when you choose a fairy or princess theme. 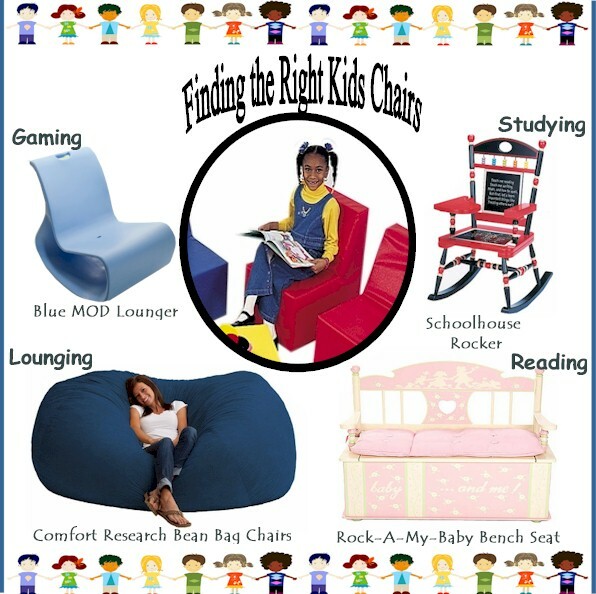 With the help of Delta Fairy or Princess Themed Kids Furniture and Kid Kraft Tables and Chairs your dream playroom design can come true. 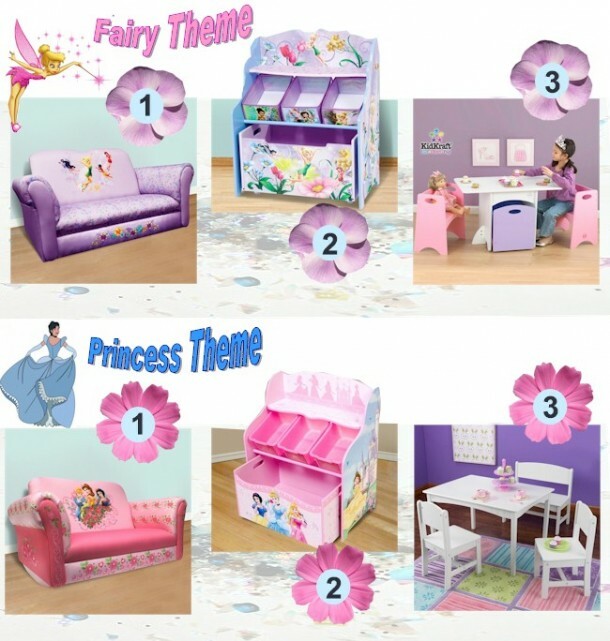 Check out our Delta and KidKraft design board below to see how you can satisfy your daughter’s need for comfort, storage and play space in the most darling fairytale themes! If you like what you see in our design board then learn more about each item by clicking on the item name below. 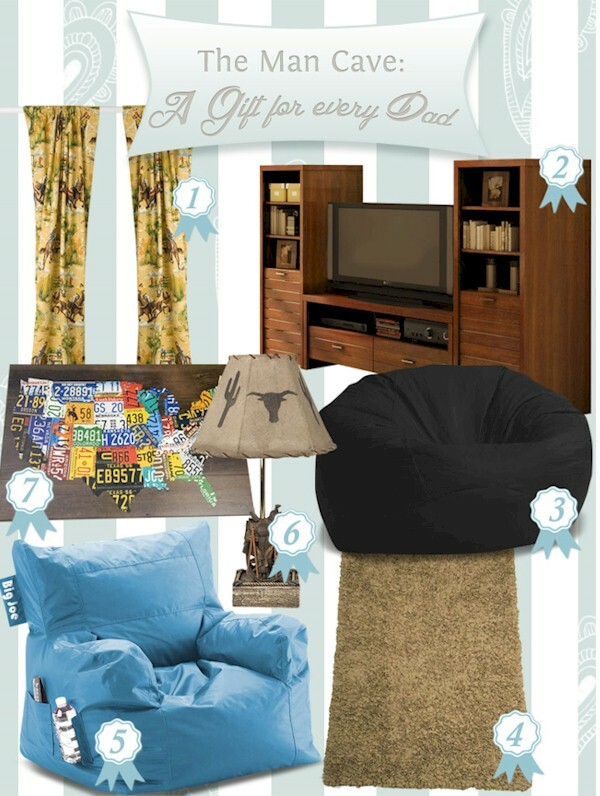 Make this Father’s Day extra special by setting up the perfect Man Cave for your husband. This man cave is also a kid cave, where a father and child can have tons of fun hanging out. 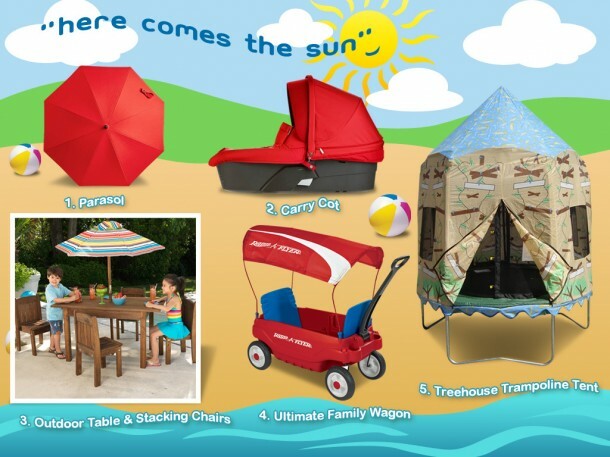 It has the perfect combination of comfort, entertainment and hip style that any father and child will love! This man cave will encourage lots of dad/kid bonding that will be remembered throughout the years and cherished always. I have so many fond memories of hanging with my dad as a child. I recall the first time I saw tears in my dad’s eyes during a sad movie…us girls were all crying too. I remember my father telling me tons of jokes that made me laugh for hours. I cherish all the good advice my dad has given me throughout the years like, “Worry is a waste of an emotion!” I still have that competitive edge that my dad instilled in me when we played games and he never LET me win…he made me work for it! I smile often when I think of all the fun times I’ve had with my dad and all the fun times we’ll still have in the future. Happy Father’s Day Pop and Happy Father’s Day to all you other dads out there. May you have as much fun in your man cave with your kids as my dad and I have had throughout the years! If you like what you see in this man cave and want to see more visit us at SimplyKidsFurniture.com or check out individual man cave items by clicking on the name of the product below. Items 1, 2, 4, 6 and 7 are from the Glenna Jean Cassidy and Banjo Collection.